RxEconsult is a network for sharing healthcare knowledge by publishing articles. Professionals showcase their expertise, network, and find opportunities on RxEconsult. Top pharmaceutical and healthcare companies are advertising on RxEconsult. Our niche community of healthcare professionals and businesses is ideal for attracting active or passive job candidates. Jobs are shared on the home page, jobs page, on all healthcare and business article pages, in our newsletters, and other social platforms. We share jobs with suitable candidates directly. Employers advertise pharmacy, nursing, physician, consulting, pharmaceutical industry jobs, and more. Jobs are featured on health and business articles which are viewed over 888,000 times and growing. We match your jobs to professionals and contact them directly without additional fees. Our community & visitors: Pharmacists (35%), Doctors (25%), Nurses (15%), other healthcare/science professionals (25%). 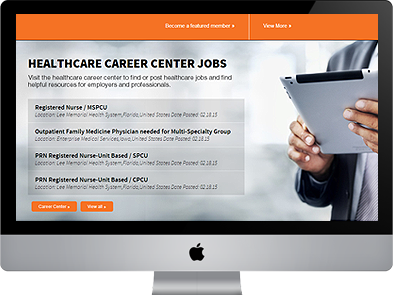 Visit the Healthcare Careers to post jobs and buy resumes. Start your free account and learn about other tools for employers. Access highly qualified healthcare professionals. Automatic cross-posting to the Health eCareers network. We match jobs to professionals and notify them at no extra cost. Dedicated support team to assist in filling your openings. We match jobs to professionals and contact them directly for free. 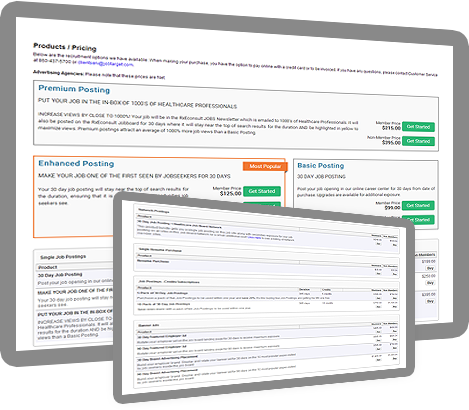 All jobs are shown on the jobs page, RxEconsult home page, and the home page of all members. 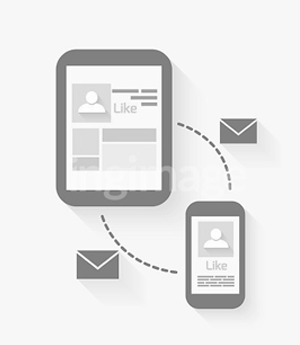 We reach passive or active candidates. RxEconsult members and visitors also serve as a strong referral base because they share openings with their contacts. Job postings are visible to members and non-members of RxEconsult. RxEconsult has 100s of unique health and business articles written by us and members. We publish content to attract the right professionals. Many of our articles rank high on Google and other search engines. Jobs are featured on all article pages. With over 888,000 views of our content, posted jobs receive plenty of exposure to potential candidates. Visitors also share openings with job seekers in their network. RxEconsult Healthcare Careers is the perfect complement to every healthcare employer or recruiter's candidate search strategy. We place your job opportunities in front of thousands of qualified candidates in a professional healthcare community where they showcase their expertise, learn, and network. Our jobs update newsletters contains tips for job seekers and employers, business articles, and posted job opportunities Jobs are shared with 1000s of RxEconsult members through the jobs newsletter. The jobs update newsletter is also shared on other social media platforms. The articles update newsletter exposes jobs to potential candidates as they read the articles. Visit the jobs page to learn more about rates and tools for employers. Post a job today and start enjoying the benefits of the RxEconsult Career Center. Job opportunities are actively shared on LinkedIn groups, Twitter, Facebook, and Google+ Pages and groups. We share job openings directly with professionals on other networks, maximizing your advertising spend and complimenting your effort. 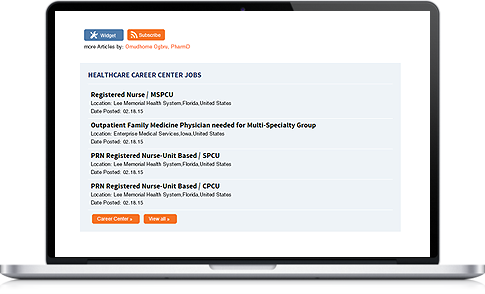 Jobs are also shared across a network of niche healthcare job boards spanning several specialties.